17°C, no wind, grey sky to start and light rain after lunch. 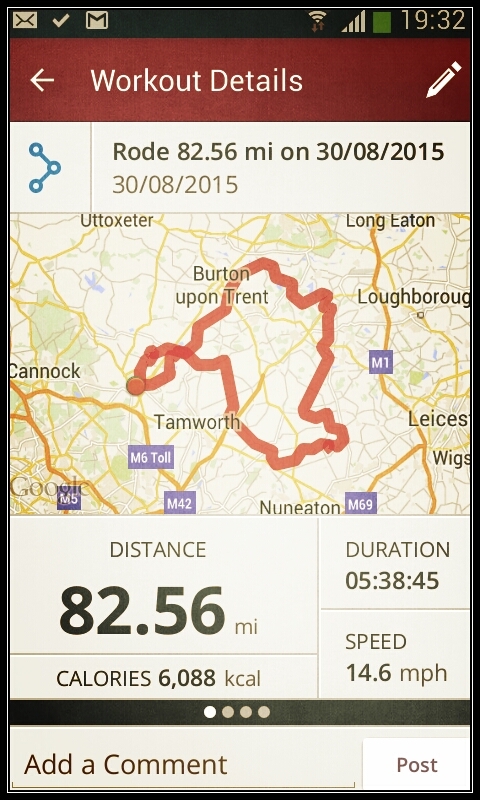 I rode Racelite with MapMyRide+! Distance: 82.56mi, time: 05:38:45, pace: 4:06min/mi, speed: 14.62mi/h. I wanted 100 but had to settle with 82 miles today. Afternoon rain and tiredness counted against my effort. However, the bike was comfortable and it was warm enough to tolerate the drizzle without a waterproof. The roads were remarkably quiet for a bank holiday weekend. There are two things I like about this time of year: berries and mushrooms. 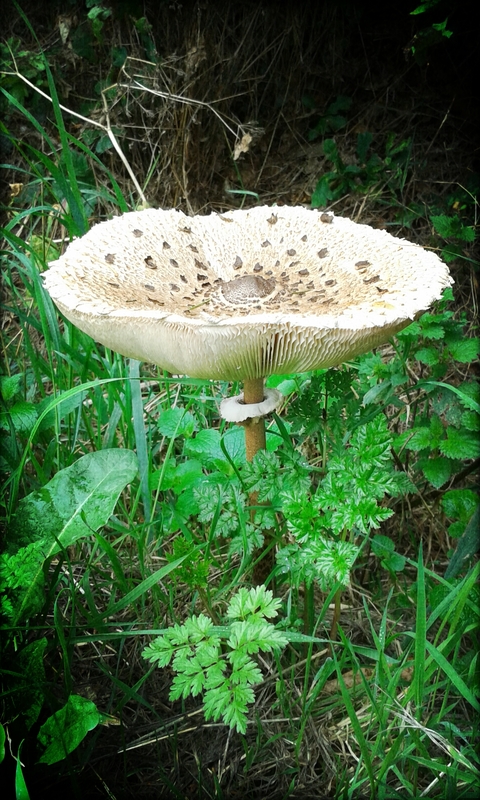 This one was over 15cm in diameter. Magnificent. To do: change the gear cable. This entry was posted in Cycling and tagged summer race bike. Bookmark the permalink.